New Delhi: Doctors would no longer be a necessary component for running a basic pathology laboratory in the country. While a provision for such a policy was recently made in the Minimum Standards for Medical Diagnostic laboratories under the Clinical Establishments Act. 2010, a confirmation to the same comes in the form of a recent letter from the Director NHM, Ministry of Health directing all the states to implement the said provisions. The letter which was recently written by the Additional Secretary, Ministry of Health And Family Welfare as well as the Mission Director, National Health Mission to the Principal Secretaries, Health in all states and UTs clarifies the stand of the government in the light of implementation of Supreme Court order in the matter of North Gujarat unit of association of self-employed owners (paramedical) of private pathology laboratories of Gujarat versus North Gujarat pathologists association regarding the signing of the Laboratory reports. As per the notification(gazette), the laboratories have been classified into three categories, basic composite, medium and advanced. The reports of the medium and advanced categories are to be signed by the doctors having a Post-graduate qualification in pathology/bio­chemistry/micro-biology/laboratory medicine or doctors having MBBS with PhD qualification in any of the above subjects. For basic composite laboratory, wherever the interpretation of the medical report is required, the same is to be signed by a qualified registered medical practitioner having minimum MBBS degree and the reports which contain only numerical value/result of the test/technical analysis of samples, then signing of the report by MBBS doctors may not be essential. 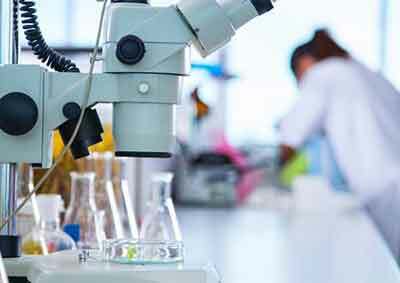 Alleging that this will allow small labs to be run by nondoctors, will finally promote more quackery in laboratory medicine and will lead to mushrooming of illegal labs in the country, doctors have pointed out that the new rules will eventually put the patient at risk and dilute of the overall quality of care in medical services. It will be fair enough to stop PG course in Pathology, microbiology, biochemistry , with such a existing rule. They could come up with such rules as Alsotors are not required to treat the patient in hospitals , it\’s not essential but desired . And it\’s happening too. 50 percentage of complaints are treated by medical stores , rest 20 percentage by quacks and pharmacist , rest 30 percentage by qualified doctors from all pathies. What an amazing rules for clinical establishment health policy India !!! The Menace of these non medical lobbies is like those people trying to get on to the train without reservation,the whole system has become like a general compartment. When will the government think of quality. What can be expected from these politicians who make health decisions whithout any health background. These politicians should not be allowed to go outside the country for medical treatment on public money.